Look no further for your nearest insulated patio builder Eatons Hill, Homeshield Patios & Decks will have you covered. 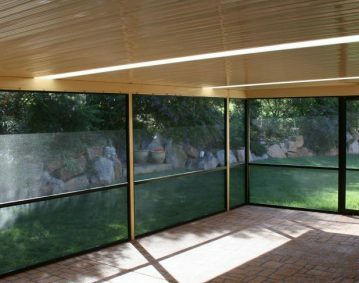 With years of experience in designing outdoor spaces in and around Brisbane, Homeshield will tailor design an insulated patio to match what you’re looking for. 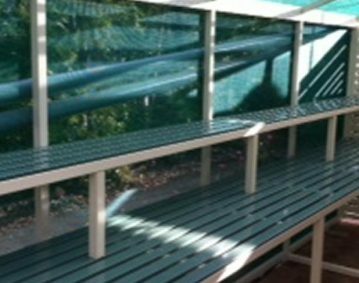 We have been designing and installing comfortable and functional patio covers and decks for Queenslanders for over fifty years. We offer an extensive range of patios, decks and home improvement products priced to suit all budgets. Let us provide you with outdoor entertainment and living at its best, call us today on (07) 3216 2799 or enquire online . Once you have made the decision to add an insulated patio to your home, the next choice is working out who will help you through the process. 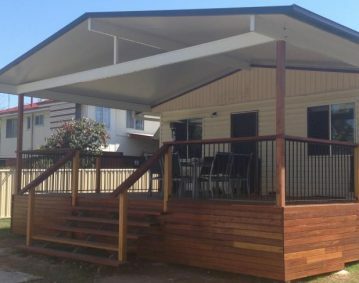 Homeshield is the only patio and deck builder in Brisbane who help you get exactly what you want by tailoring the ideal patio to suit your brief and budget. We offer practical, tailored designs combined with exceptional service, a great range of quality product options, knowledge and reliability. Whether you already have an idea in mind or will be starting from scratch, we custom design an outdoor space to suit your property and lifestyle needs. We ensure that you get a great choice of the best products from multiple manufacturers; real, itemised quotes, not scribble; everything taken care of from design to approval to completion and an outdoor space design that really suits you. An insulated patio will make a massive difference to the appearance of your home, but also comes with many benefits. These include a patio that is both strong and extremely durable, blocks the summer heat, reduces rain noise, low maintenance and provisions for outdoor lighting and fans behind a concealed ceiling. Entertain and rest comfortably under an insulated patio roof designed and built by Homeshield Patios & Decks. Contact our friendly team today for an obligation free in-home design call and quote – call 07 3216 2799 or enquire online here. Family owned and operated, Homeshield has been designing and installing comfortable yet functional high-quality patios and decks for Queenslanders for over 60 years. Based locally in Warner, on Brisbane’s northside, we service all North Brisbane suburbs from Windsor to Wavell Heights, Albany Creek to Aspley and Bray Park to Bribie Island, Chermside to Caboolture and everywhere in between. With access to a wide selection of high quality manufacturer products, we can design and build a patio or enclosed entertaining area you will be proud of. Call us today on 07 3216 2799.